New Castle County Councilman Bob Weiner said the redevelopment of the office park and the development of the neighboring 111 acres of the now-shuttered Brandywine Country Club could be "transformational" for the area. "We as a community will be engaged in the public hearing process to assure that the future of these two sites are consistent with community character, respectful of our traffic capacity and architecturally enhance our community," Weiner said. Redevelopment of Concord Plaza, a large office complex off Silverside Road in Brandywine Hundred is in the planning stages. 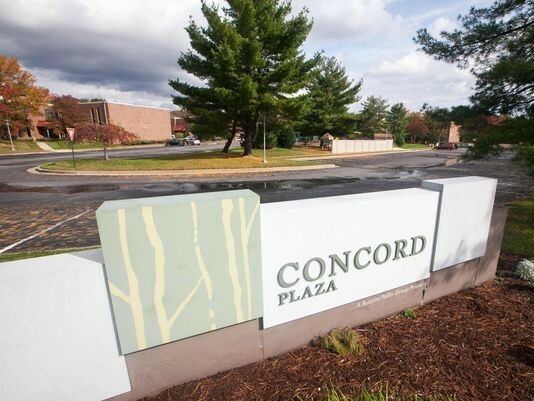 Stores and hundreds of apartments are proposed to be added to Brandywine Hundred's Concord Plaza office complex, one of the largest commercial parks in the state. Wilmington developer The Buccini/Pollin Group wants to build about 300 luxury apartments situated over restaurants, cafes and stores as well as a new office building at the complex located near Silverside Road and U.S. 202, said Larry Tarabicos, an attorney for the developer. Plans will be filed with New Castle County in the coming weeks, according to Mike Hare, senior vice president at Buccini/Pollin, who declined further comment on the property. 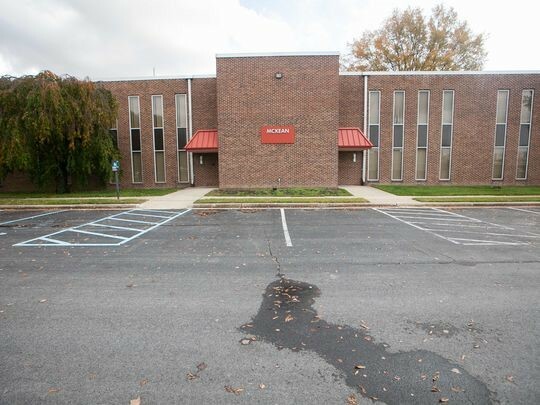 The privately held developer, which has numerous projects in Delaware and elsewhere, has scheduled a meeting to unveil its plans to the public at 7 p.m. on Dec. 7 at the Talleyville Fire Company, 3919 Concord Pike. The 45-acre Concord Plaza has about 500,000 square feet of office space in 20 two-story, brick buildings. The developer will propose demolishing eight of the structures to make way for six luxury apartment buildings. Three will be four-stories tall and contain only housing. The other three will be five stories, with the ground floors home to about 40,000 square feet of retail space. "There will be high-end-type restaurants mixed with shops and a cafe," Tarabicos said, noting plans are still conceptual. Construction of a four-story "signature" office building also is part of the plan, Tarabicos said. The proposal will not require a rezoning. The project is in one of the busiest corridors in the county. Some residents of the Longwood neighborhood near Shipley and Silverside roads adjacent to the the site on Thursday said traffic will be a concern with new apartments and a more bustling office park. "Getting out on Silverside, the traffic can be bad at the standard times in the morning and afternoon," said Steven Jones, who has lived in Longwood for 25 years. "I guess this will add some traffic to our small part of the world. We'll wait and see. It could be hectic. I'd probably vote no If I had a vote." Others were concerned about any noise generated from a change in the office park's scenery. "They have been a perfect neighbor," said Mary Jo Gebensleb, whose backyard borders the complex. "The offices are old. They have been there a long time. It's quiet. People will probably get mad things are changing, but I don't think the traffic is that bad." About 370,000 square feet of existing office space will not be changed by the revamp. The office complex currently houses the U.S. Postal Service, a branch of Wilmington University, a daycare center, several medical service providers and smaller office tenants. The buildings are underutilized and at least a few sit vacant, said Pete Davisson, a principal with Jackson Cross Partners, a commercial real estate brokerage firm. The park was the first of its type in Delaware when it was built for DuPont Co. workers in the late 1960s, Davisson said. It was especially attractive given its location in the most developed part of the county with close access to major roadways, Davisson said. "This property was a great property when it was built. At that time, it was the best thing going," Davisson said. "It's just (corporate office) industry has gotten much more sophisticated." AstraZeneca was the park's last marquee tenant. The pharmaceutical giant consolidated its workforce elsewhere in the county between 2000 and 2005. Buccini/Pollin acquired the property around the same time. The park's redevelopment reflects a larger trend of unused office space being repurposed into stores or housing. "It happens in mid- and high-rise office buildings in the city and it happens in these suburban parks. I don't know that you have seen a lot of that here yet. We are coming out of what was the worst five or six years in the history of commercial real estate," Davisson said "This year has been a very good year for the industry. Wilmington hasn't done quite as well as other markets, but everyone is tying hard and, frankly, Buccini is trying harder than anyone." Since the company's formation in 1993, Buccini/Pollin has developed more than 6 million square feet of office and retail space in Mid-Atlantic and Northeast region. The firm owns more than $4 billion in assets, and office space holdings in Delaware include Wilmington's 500 Delaware Ave., The Nemours Building at 1007 Orange St. and the I.M. Pei Building at 105 N. Market St. 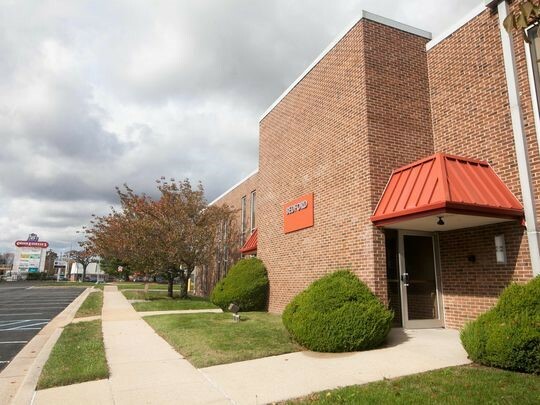 The firm also owns the 450,000-square-foot Iron Hill Corporate Center near Newark and the 300,000-square-foot Foulkstone Plaza off Foulk Road, as well as four hotels throughout New Castle County. The development firm is part of a dozen developments in Wilmington in the central business district and on the Riverfront. The company has about 150 apartments along North Market Street downtown set to come online by the end of the year. Tarabicos said it is too soon to put a timeline on construction for the Concord Plaza project and it is unclear if the company will seek any state aid for the redevelopment. Financial details were not released. New Castle County Councilman Bob Weiner said the redevelopment of the office park and the development of the neighboring 111 acres of the now-shuttered Brandywine Country Club could be "transformational" for the area. In the coming months, developer Louis Capano III, whose father owns the country club property, is expected to propose building houses on the property. A public hearing about that proposal is scheduled for Dec. 10, but a location for the meeting hasn't been finalized. "We as a community will be engaged in the public hearing process to assure that the future of these two sites are consistent with community character and respectful of our traffic capacity and architecturally enhance our community," Weiner said.